When creating a compelling powerpoint presentation, the message is important. Text is one way to create your message, but images are more powerful. People can relate to images in a powerpoint presentation faster and easier when you have an important message to communicate. Powerpoint software was included in the office 2010 suite as a way to integrate images into your presentations. How you are going to use your powerpoint presentation will determined your image use and size. For example. If you are hoping to email the powerpoint presentation, your purchased stock photos should be smaller files so that the final file does not become too large. If you are hoping to project your power point presentation in front of an audience, the stock photos should be larger and with a higher resolution to ensure a good projected image. Your stock photo choices for your power point presentation can inspire you as you are developing your presentation. Additionally, it will inspire your audience during your presentation and get your point across faster than if you just used text. Current powerpoint software can take file extensions such as .avi, .mov, mpg, and .mpeg. Animated Gif files can also be used in the powerpoint software. Stock photo agencies have stock videos that can be used in your powerpoint presentation and will add some movement to your presentation. Use the video option for audience presentations as the files are linked to your powerpoint presentation and require storage space. Adding a stock video file to an emailed presentation will make the file too large. 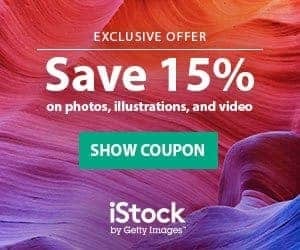 iStockphoto has an entire selection of stock photo videos that can be downloaded immediately and used in your powerpoint presentation. Stock photo videos can be purchased through subscription or credit based memberships. You can create an inspiring powerpoint presentation that will have your audience understanding your message through text, photos and video. They also offer a iStock Ribbon plug-in for Microsoft PowerPoint and Office. Fotolia has millions of images that can be used in slideshows and downloaded immediately. 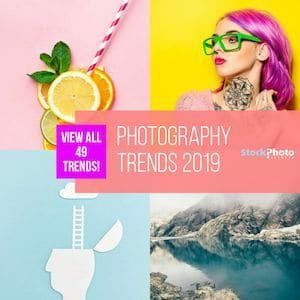 Their forum is also helpful for questions related not only to stock photography use but also digital software that designers use to create slideshow presentations. 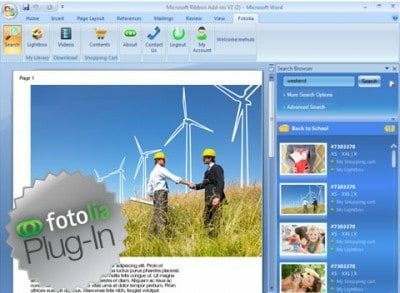 Fotolia also have a Microsoft Office Plugin for PowerPoint, which make photo buying for your presentation very easy.